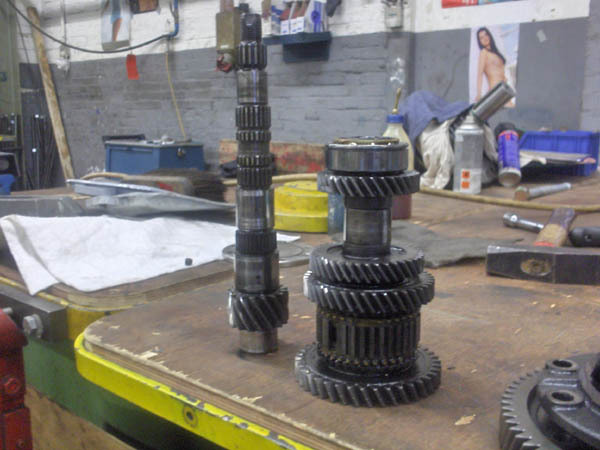 The gearbox isn't forgotten in this project. The Corolla GT-S comes equiped with a manual 5-speed gearbox from the Toyota C-series gearboxes. In my car, it was the C-52. 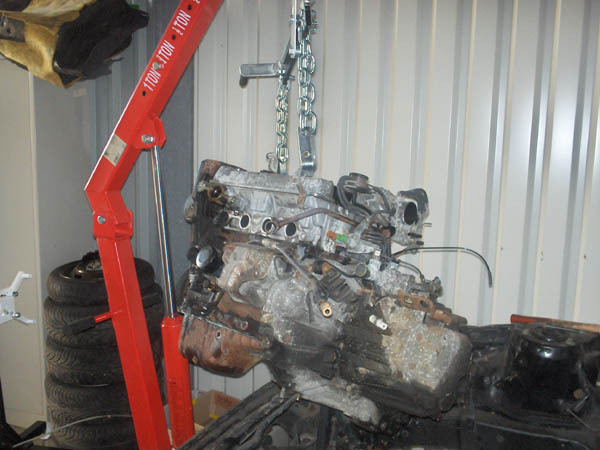 It was still bolted to the engine when both were hoisted out of the car. 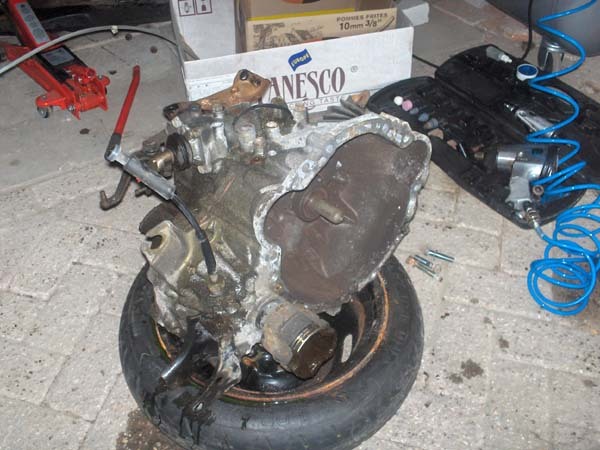 But after unbolting it, it was easily separated from the engine. 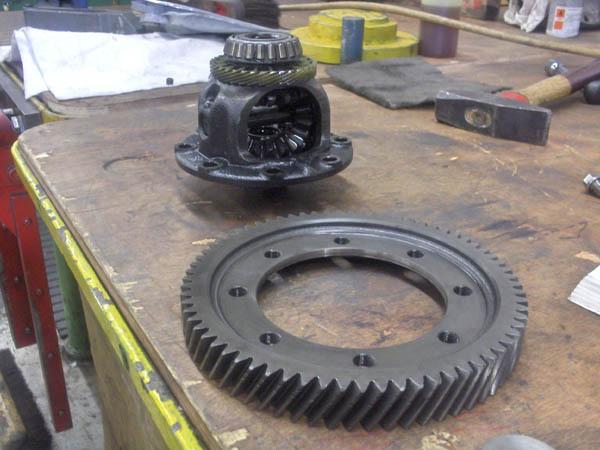 At the time, I worked at a company that refurbished industrial gearboxes. 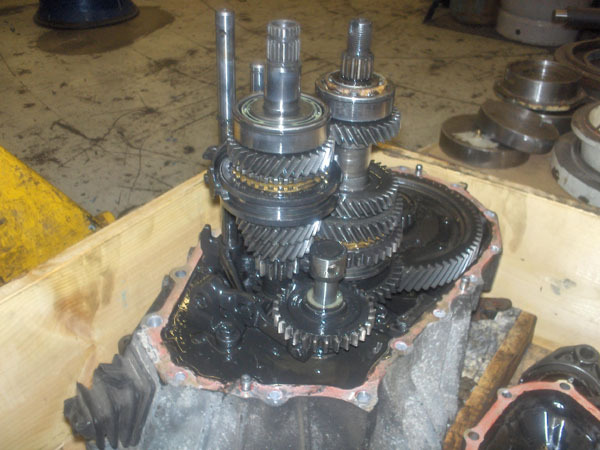 It's a little different than a cars gearbox, but the theory is more or less the same and most of the tools I used in our workshop could also be used for this gearbox. 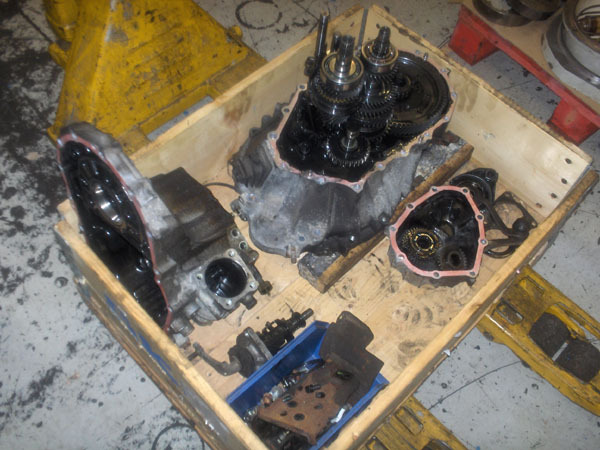 So where at first I was planning on sending the gearbox to a specialist, I now thought it would be a fun challenge to do it myself. So I took it to work one day and they agreed to let me use the workshop after working hours to work on my own gearbox. After pulling of the top part of the housing, you're looking at the 5th gear. That would have to be removed before I could continue tearing down the gearbox. It turned out to be easiest to warm up the sprocket to let them expand a little the be able to pull them of the axles. When I first tried to pull them off without warming them up, I exerted so much pressure on some of the teeth that small bits just flew off, rendering the sprocket useless. 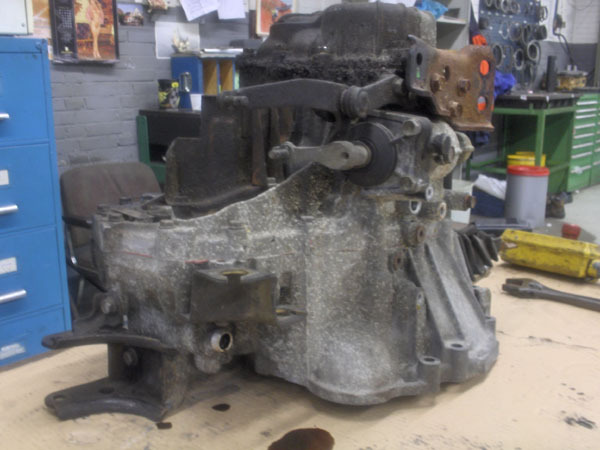 Luckily, I had a spare C-52 gearbox back in my own workshop. It came out of my brothers old car and couldn't be used anymore as the housing was broken. But all the gears inside were still in good condition. 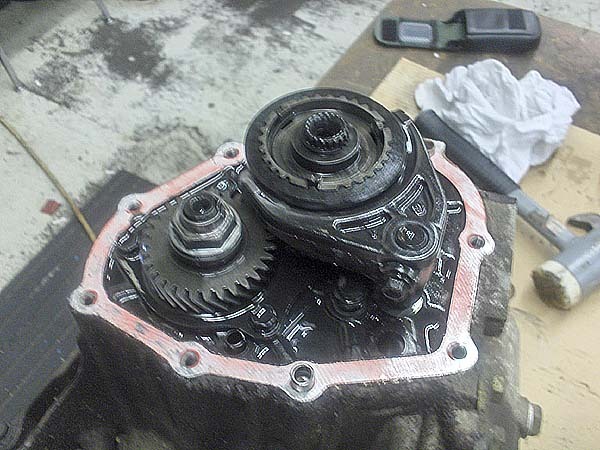 Now that I knew the correct way to remove them, I could pull them from the spare gearbox. 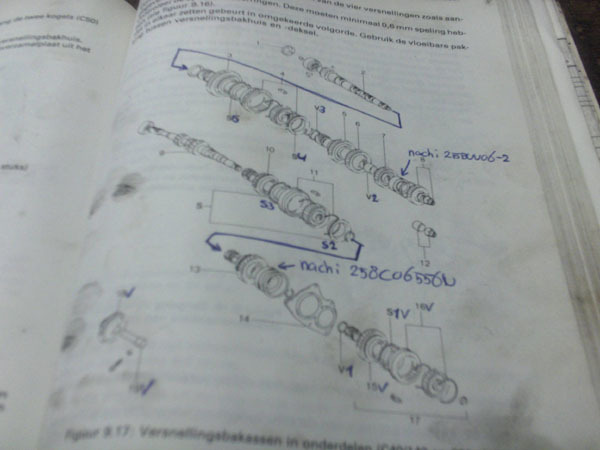 My workshop manual also described the disassembly and rebuild of the gearbox, but I still had to document and mark every part that was taken from the gearbox, to be able to rebuild the gearbox in the right order. 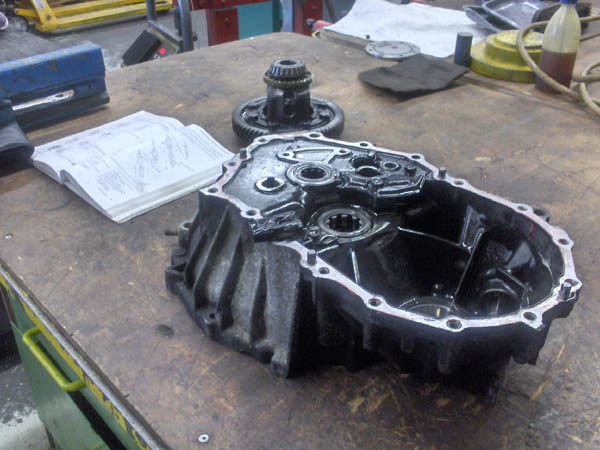 And when the gearbox housing is taken off, the entire gearbox comes apart relatively quickly. floating around in the gearbox oil. As can be seen, it did its job perfectly as it is very dirty. 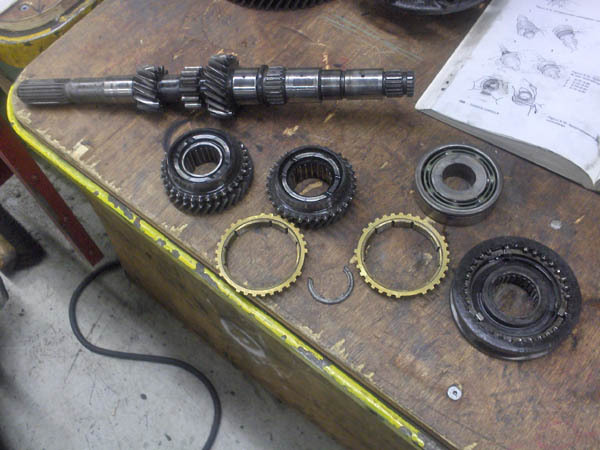 After all the parts were taken from the gearbox, all I needed to do now is pull the axles apart using the shop press. That way, I could thoroughly clean all the different parts and replace all the bearings and synchromesh rings etc. And because I was going to replace the stock open differential with a limited slip differential, that had to come apart as well. Now that everything was really stripped down to the very last part, I could start degreasing them and give them a good cleaning in the sandblasting cabinet.